The Iliad is an epic Greek poem written by philosopher Homer, and is considered one of the oldest pieces of western literature still in existence. The story takes place during the last weeks of the ten year Trojan War, with a focus on the quarrels between King Agamemnon and the legendary warrior Achilles. However, this tale's most famous scene is when the Greek's give a gift to the Trojans of a large wooden horse, but one that is filled with soldiers, that allows the Greeks to infiltrate the high walls of the city of Troy. 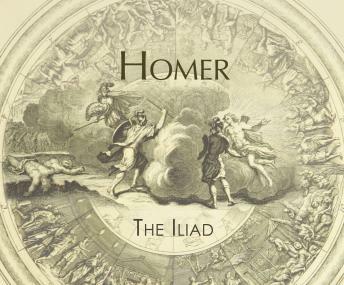 Many Scholars believe the Iliad was originally composed in an oral tradition, intended to be heard, not read, making this epic classic a must have for audiobook listeners!